You've Installed Whoisvisiting, Now What? But visualisation is only the beginning. It is what you do beyond this which creates the unique experience and therefore leads to greater value added. Whoisvisiting, when used intelligently, can help your business identify lead generation opportunities, highlight where to focus your marketing efforts and ultimately assist you to make important business decisions for progressive action. The quality and relevance of the data which you can capture is influenced by the marketing activity which you are implementing to drive traffic to your website through the following channels. 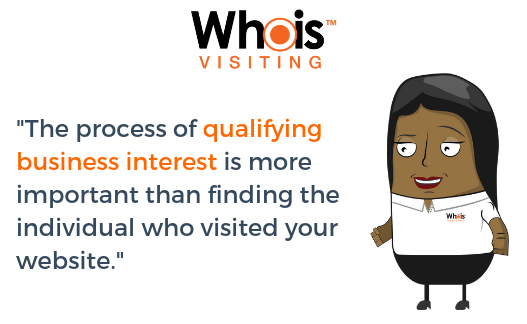 Optimising your Whoisvisiting dashboard to ensure that it is compliant with the way your business operates. Allowing the data which you collect to filter into the most appropriate direction in an automated way. These are some of the ways which you can re-engage website visitors who have displayed an interest in your product or service but have yet to convert. 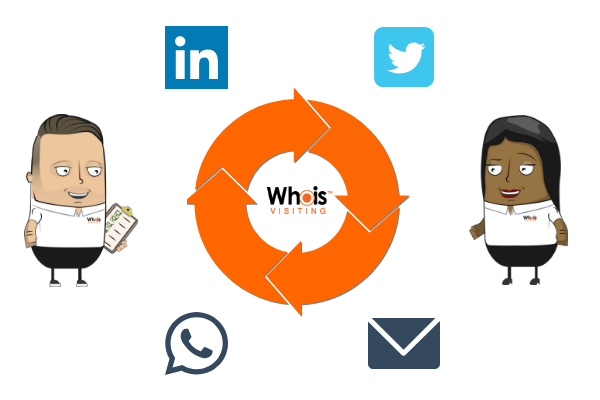 Whoisvisiting as a tool does not know the nature of your business, it only provides insights. Therefore you need to make it synchronised with your own industry and organisational structure to integrate it correctly. Here are a number of ways which you can make the tool functional with your business and focus on what your needs are from the platform. Whoisvisiting allows you to add unlimited users. 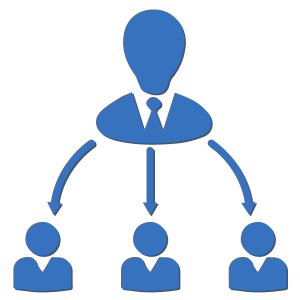 Therefore, you can allow every relevant person within your team structure access to the dashboard in order to utilise the system for whichever purpose. It is important that you get your users set up correctly for ongoing progression with the tool. For some businesses, it might be more efficient to nominate one individual to control the management of the visitor table and the distribution of the leads and opportunities within that. 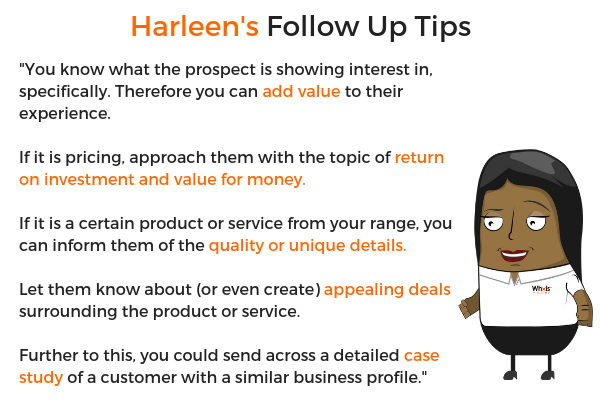 It will depend on your own business working structure and the follow-up process which you decide to implement. You could alternatively select specific permission levels to organise the management to an even greater point of detail. This will be required for each user which you want to be able to log in, receive reports or is ultimately part of the wider sales process. Every business uses categories differently in application to the nature of their own organisation and how they are using the Whoisvisiting tool in general. 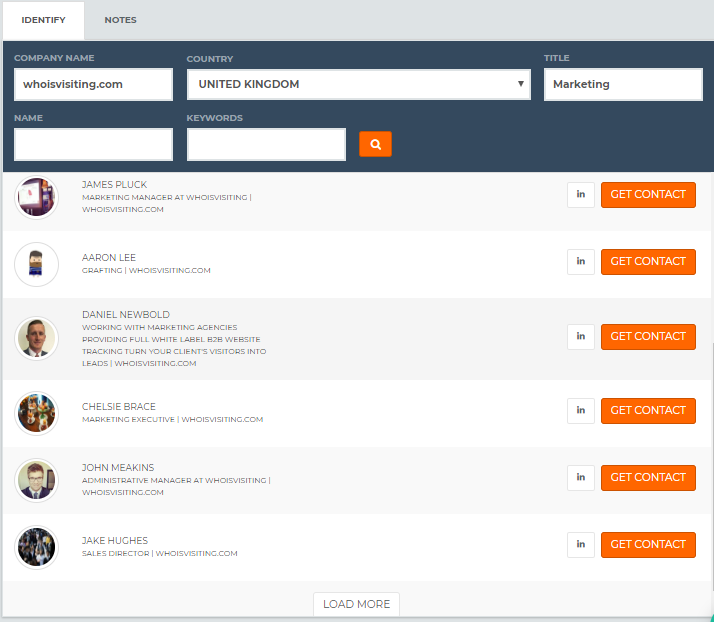 Using categories is a way for you to customise the Whoisvisiting dashboard in sync with your specific and unique business needs. This allows the selected user(s) to quickly visualise the situation of the dashboard and manage the follow-up stage accordingly. These can be created in your settings and customised with a Category-Specific Colour and a Category-Specific Icon. From here, companies who visit your website can be assigned to a particular category for greater clarity and organisation going forward. 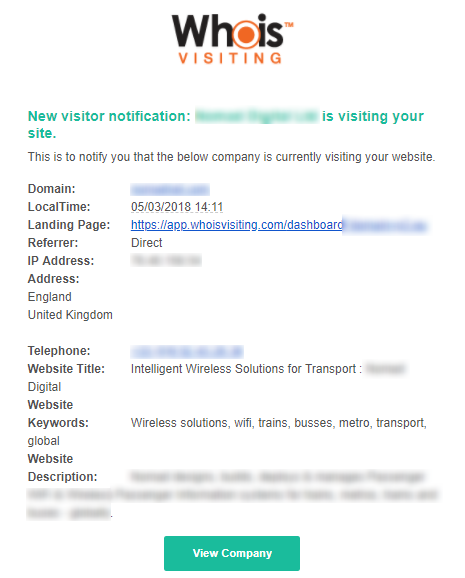 This cleans up the 'noise' of the visitor dashboard and allows you to prioritise, delegate and to get directly to the new or more important information a lot faster. Creating a process around the allocation of category assignment is important to ensure you are consistently keeping on top of it. Either by creating a rota, a scheduled routine or one person to oversee the visitors. You can apply a filter to show only specific categories you want to see within the visitor table. And export this into CSV or Excel format for ongoing usage. Further to this, a trigger report can be created for a visitor who is assigned to a particular category. This allows you to be alerted to that visitor returning and ensures you will not miss out on that immediate development. 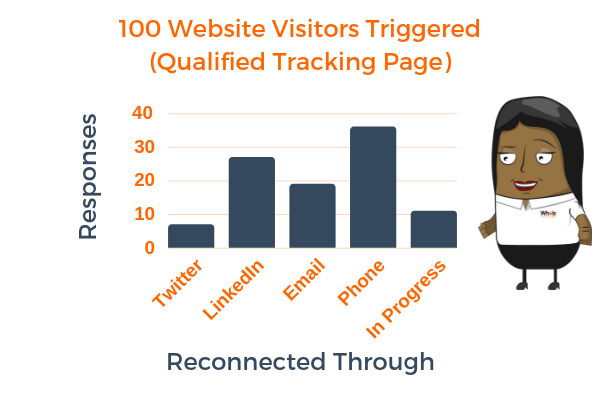 Tracking pages and creating trigger alerts for what your business considers to be the most crucial website visitors and journeys is a brilliant way to pre-qualify visitors to specific areas of the website and access the relevant leads. The first task you will need to complete is to set up Tracking Pages. 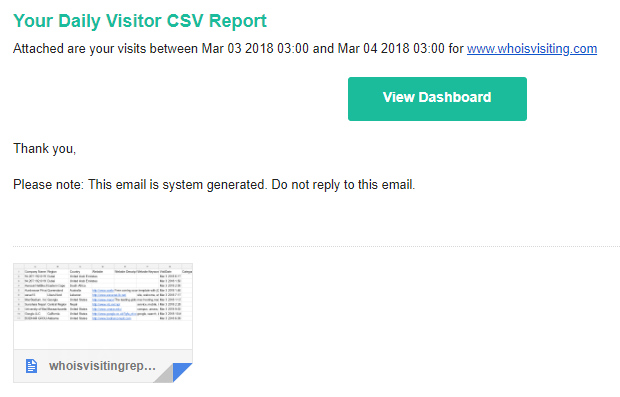 These are on-site pages that are automatically tracked from the date they are created, they can then be filtered by on the Visitors page or used as trigger conditions. 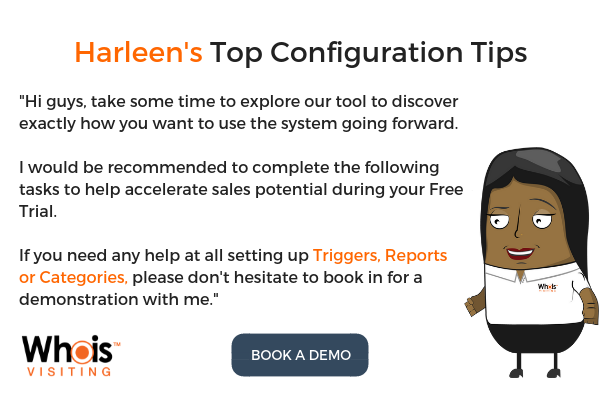 Setting up tracking pages and trigger settings will save time rather than manually identifying the stronger opportunities. This can then alert to the correct person within your organisation who looks after or represents a product or service area and can streamline the follow-up approach in an effective way. This is where you can really bring the product alive in terms of directness and relevance. Depending on how your business chooses to benefit from the system, setting up reports enables you to control the data you receive in terms of frequency and detail. You may be very hands on within the dashboard, alternatively, you may want to set automatic reports for a concise overview of the information which is most relevant to you as and when is convenient. 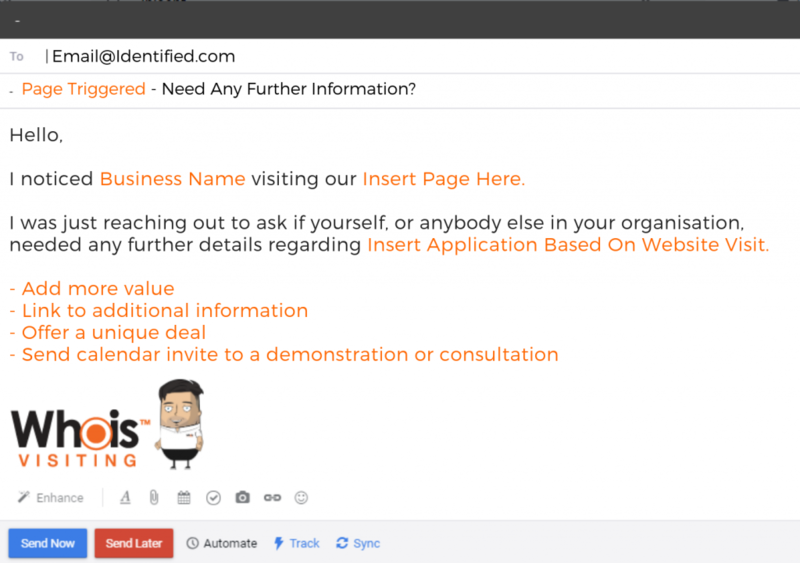 You can select any of your users to receive real-time notifications sent straight to their Email inbox. This will notify of a first-time, recognised businesses landing on your website, with the option available to filter by country of your choice. You can schedule users to receive detailed reports from the reporting hub within the dashboard. Here you can create specific reports for each person with full control over the information sent in the report in terms of visitor detail. They can also be customised in terms of frequency and time to suit your needs. You will then have access to the full report of that information with all visitors over the time chosen, with the information requested. This report allows you to visualise a concise overview of the source which your website traffic is coming from. This is helpful from a marketing perspective to see which campaigns are taking effect. Further to this, you can download the data and use it combined with Google Analytics information to gain insights into conversion rates.